Christina and Durham met through mutual friends and were long distance while Durham was in school at VMI. Now he is in the Air Force (totally awesome). 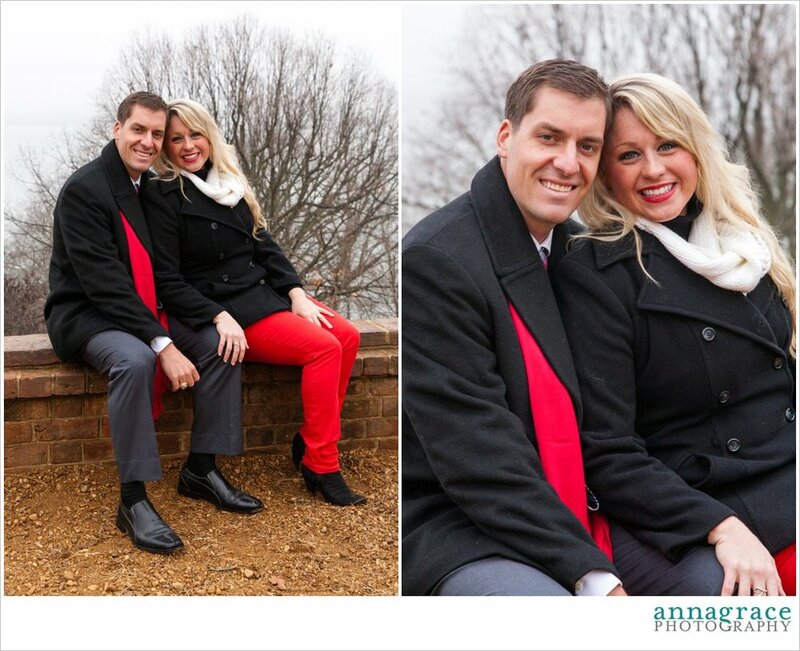 They live in Florida, but are getting married in northern Virginia where Christina grew up! 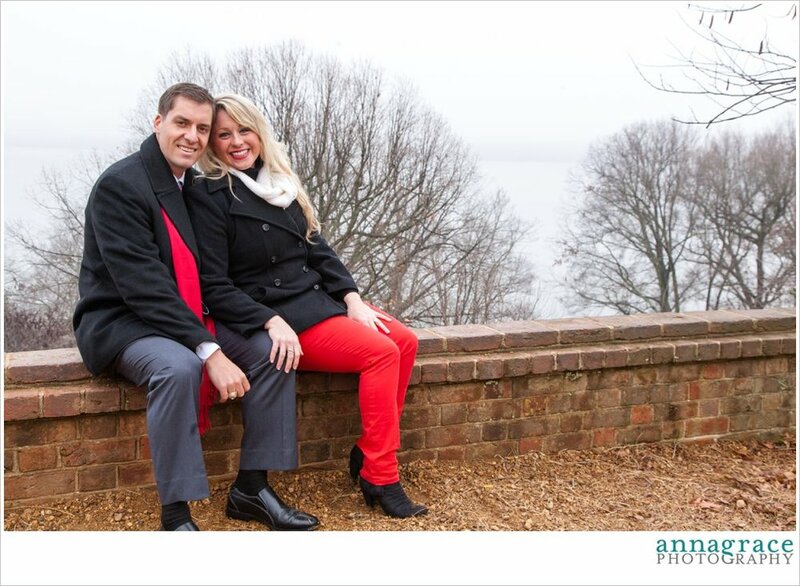 We took the engagement shoot at Mount Vernon because it is close to where the wedding reception will be. It was a foggy day but it was still very beautiful. There was also a CAMEL there for us to look at and pet! Christina got really close to him and I snapped a funny picture. These two are so incredibly classy and wonderful. 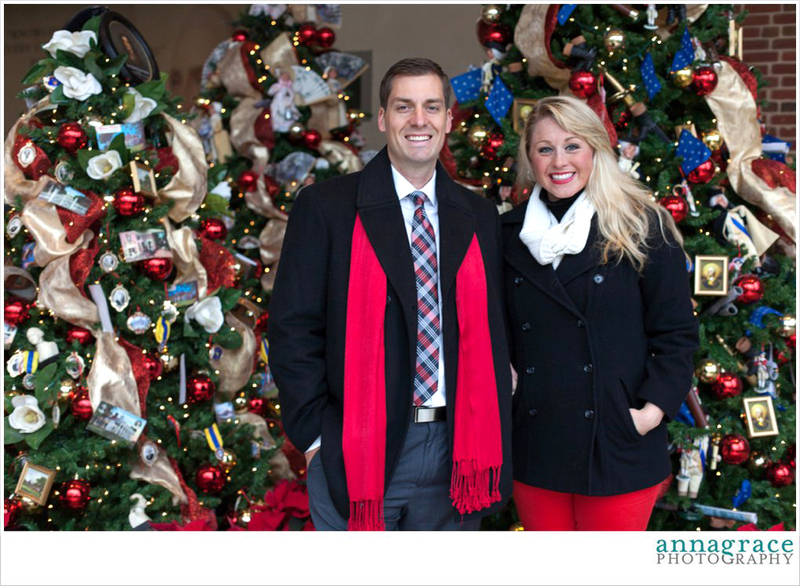 It was a blast to do their engagement shoot and I CAN'T WAIT to shoot their wedding in May! I couldn't help but notice that while I was editing these pictures Durham kept looking just like Don Draper from the TV show Mad Men. So funny! I am also excited because Christina hired me to design all of her wedding pieces. So I designed the logo you see in the image above along with the invitation, program, etc that will come later in the wedding post! 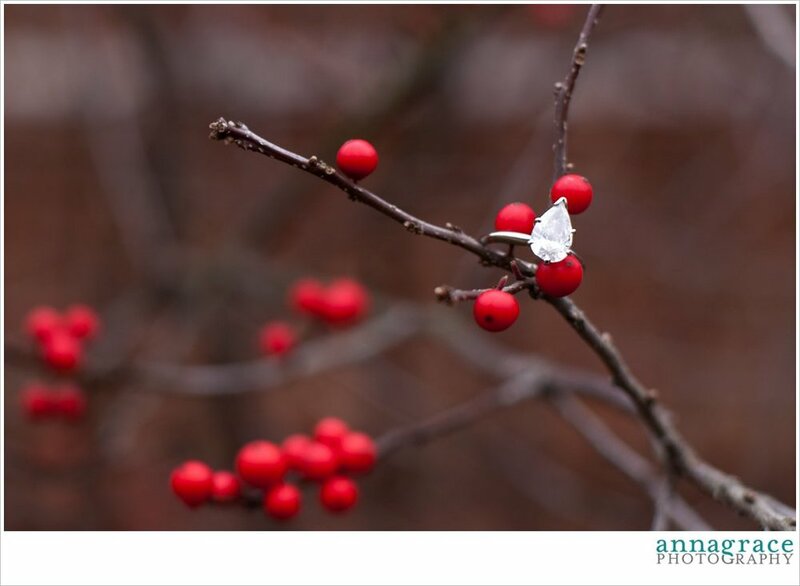 It is so fun to be the photographer and designer for Christina & Durham's wedding! They are so great.